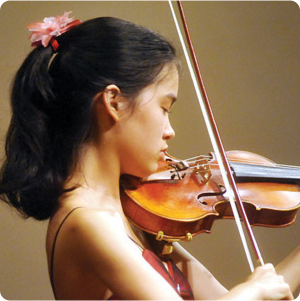 March is a great time to visit Staunton, and here are two reasons why. 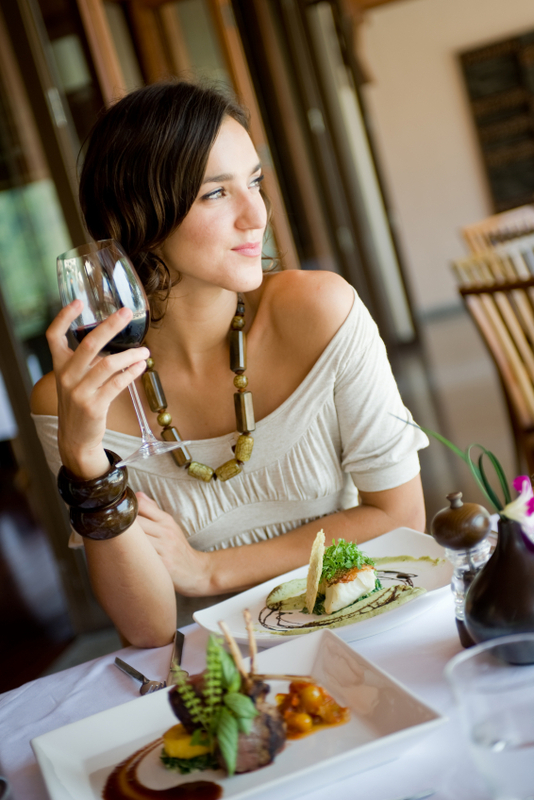 ONE: Both Virginians and visitors love a great meal paired with award-winning Virginia wine. 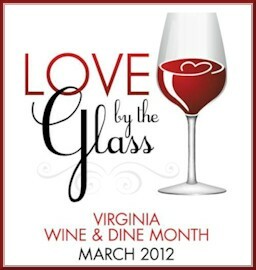 So much so that the previously week-long Love by the Glass: Virginia Wine Week has grown into a full-fledged Love by the Glass: Virginia Wine & Dine Month, and Staunton is taking part! TWO: Staunton Restaurant Week is March 19-25! Let your mouth water a little longer for that indulgent petit four. There are eight fantastic restaurants to choose from, so keep an eye on the Staunton Yum web site for Restaurant Week menus coming soon! The bottom line? 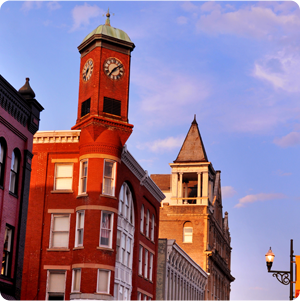 Staunton is your destination for local food with flare, fine wine from not too far down the road, and some pretty extraordinary accommodations. There’s no leg-work to these fine packages. You’ll arrive, you’ll enjoy a fantastic dinner, and you’ll be treated to excellent Virginia wine, all for one price. Anne Hathaway’s Cottage Bed and Breakfast Inn invites you to splurge with a night (or two) in Juliet, Romeo, or William’s room after you enjoy a decadent three-course dinner and wine pairing at Zynodoa. A single night with the special dinner and wine is $245-$265, or you can stay two nights for $365. Call 540-885-8885. Staunton Choral Gardens Bed and Breakfast is offering a Wine Lovers Weekend package. It’s two nights with a $70 certificate for your choice of downtown dining, and a chauffeured trip to three or four nearby wineries (with lunch and all fees included), plus quite a bit more. It’s a decadent opportunity priced $895-$945. Call 540-885-6550. Stonewall Jackson Hotel & Conference Center is offering a GREAT Restaurant Week deal – $52.00 per night guestroom available Sunday-Thursday only (March 18-22.) Call the hotel and mention the Restaurant Week overnight deal. Score a great room rate, seek out your own style of dining, and sip wine, too. Inn at Old Virginia is offering a special rate through the end of March. Stay for as little as $90 per night. Call 877-809-1146. 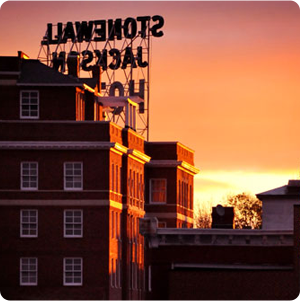 The Storefront, a gorgeous one-bedroom loft with kitchen and lounge right in the heart of downtown, has a standing weeknight deal of $95 per night. Call 804-218-5656. Popular for both their food and their entertainment is Mockingbird Artisan Fare and Roots Music, where you can enjoy a dinner served with Virginia wine while listening to live music in an unbelievable atmosphere. 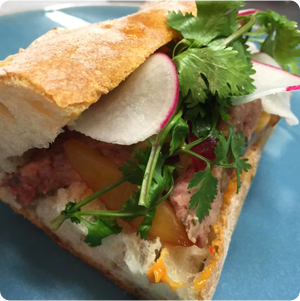 Pop in for a great sandwich, possibly a live performance, and definitely a glass of Virginia wine at George Bowers Grocery. Get your pampering on at The Pampered Palate, serving soups, salads, sandwiches, quiche, desserts, and an extensive gallery of Virginia wine. A scenic 20-minute drive east of downtown is Barren Ridge Vineyards in Fishersville where tours and tastings are available daily. If you’d rather not leave downtown, you’ll find the new Ox-Eye Vineyards Tasting Room on Middlebrook Avenue to be a refreshing bright spot. I recommend foregoing dessert in favor of the Riesling. 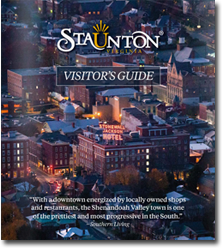 For more information about Staunton, please explore VisitStaunton.com. More information about Staunton Restaurant Week will be available soon. Casey Higgins is a Shenandoah Valley girl residing in the Richmond area with her husband and two children. She writes for Virginia Tourism Corporation presenting travel ideas for families and couples, shining a light on hidden gems, and uncovering hometown delights. Follow her on Twitter at @jccjhiggins.